Jaipur, 24 November: The fourth day of the annual theatre festival of Pink City – Au-Jairangam – witnessed a bonanza of plays. Jawahar Kala Kendra (JKK) saw the staging of plays ‘Amrita’ directed by Sudeep Sohni, ‘Waiting for Godot’ directed by Sanket Jain and ‘One by Zero’ directed by Shubham Pareek . The plays ‘Bidesia’ directed by Sanjay Upadhyay and ‘Bali aur Shambhu’ directed by Manav Kaul were staged at Maharana Pratap Auditorium and Birla Auditorium respectively. Along with proscenium theatre, various other activities such as panel discussion, nukkad natak competition, street play, painting competition, among others also took place today under the ambit of Au-Jairangam. Jawahar Kala Kendra’s Shilpgram is shining bright with unique and attractive art installations installed as a part of Au-Jairangam. Made in collaboration with Arch Academy of Design, Jaipur, these installations are based on different concepts like ‘Peace’, ‘Reliving Theatre’, ‘Tomorrow’, ‘Looking Around’ and ‘Quotes’. The art installation ‘Peace’ signifies every individual’s search for inner peace. It gives the message of living beyond the world’s pathos and perils. ‘Reliving Theatre’ attempts to reopen the chest of yesteryear memories that one’s parents and grandparents treasured and cherished. ‘Tomorrow’ is an attempt to highlight the mindless attitude of human beings towards the planet Earth that leads to perils like destruction, pollution and scarcity. ‘Looking Around’ throws light on human being’s ethical and moral responsibility to let the environment maintain its natural beauty. ‘Quotes’ is an informative installation of famous personalities from art and theatre. A panel discussion on the topic ‘Theatre and Cinema’ was held today as a part of the Rang Samwad series. In the discussion eminent personas of the theatre fraternity such as Sudhir Pandey, Manav Kaul, Kumud Mishra and Sanjay Upadhyay participated. While talking about the distinction between cinema and theatre, Mr. Sudhir Pandey stressed on the point that there was no real divide between the two and it has been created. Each medium be it theatre, cinema or TV has its own technicalities which cannot be put to comparison, he added. He further said that theatre is not a source of livelihood but rather a passion. As compared to cinema, the reach of theatre is limited. Emphasizing the point further Mr. Manav Kaul said that there is nothing “revolutionary” about theatre and it thrives solely because of passion. He further said that equal amount effort and hard work is put in both cinema and theatre. The kind of theatre and cinema that is being produced is dictated by the audience, he added. Mr. Sanjay Upadhyay said that both cinema and theatre have their own limitations. While cinema is a finished product, theatre always has a scope for incorporating changes prevalent in contemporary times. The temperament of the actors on a particular day also greatly affects the turnout of the play. Mr. Kumud Mishra said that the success of both theatre and cinema depends on the story. Even if modern technique is used in cinema, it cannot ensure winning the hearts of the viewers unless the story is touching. In the nukkad natak competition students of colleges like Parishkar College, Mahaveer College of Commerce, Maharani College, Maharaja College and Kanoria College, among others participated. They presented plays on various topics like LGBT, Violence against women, Disability, Bechara Mard, among others. 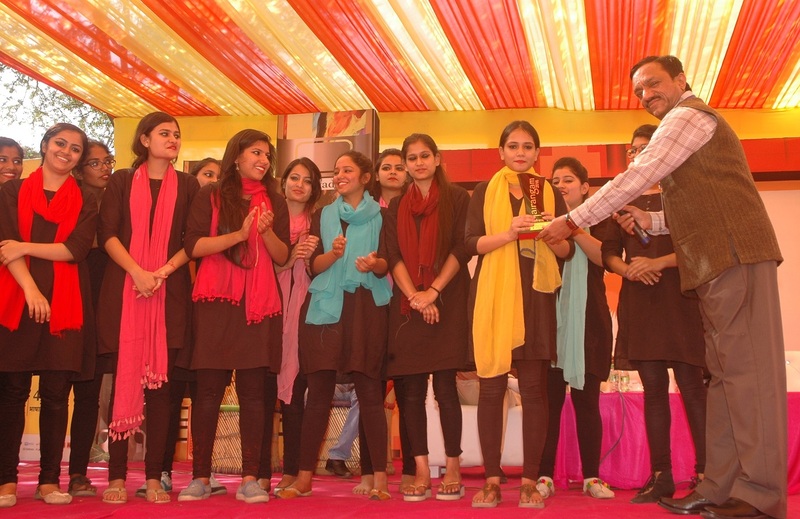 The first, second and third prize of the inter college nukkad natak competition was bagged by Maharani College, Kanoria College and Parishkar College respectively. 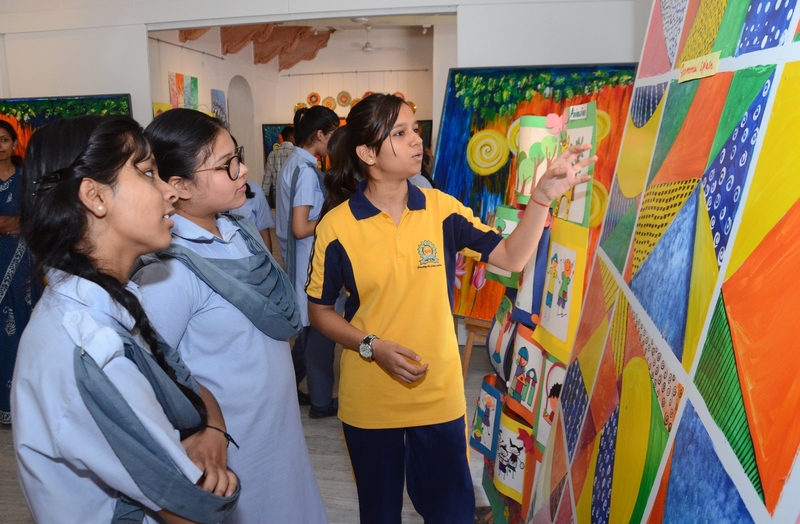 A painting competition — ‘Art Stroke’ for around 350 students of various schools was held. There were 3 categories in the competition — Class 1 to 2, Class 3 to 5 and Class 6 to 8. Coordinators Rosy Saxena and Vibha Sharma informed that the theme of the painting competition was ‘Nature’. The best three paintings in each category were awarded. The play ‘Amrita’ directed by Sudeep Sohni, is based on the autobiography of eminent Punjabi poet, Amrita Pritam. Directed by Sudeep Sohni and performed by the professional theatre teams of Vihaan Drama Works (VDW), the play is an effort to portray the fadeless life of this gifted and blessed writer. Amrita, Sahir and Imroz are about Kavita, Nazm and Painting. When truth, honesty, emotions and experiences of life blended eternally with aesthetics of poetry and painting, the story of lasting impressions come to us as ‘Rasidi Ticket’ in the words of Amrita Pritam. Her transformation from body to soul is a journey from self to beyond. Amrita Pritam was the only child of her parents and her mother died when she was very young. Confronting adult responsibilities, and besieged by loneliness following her mother’s death, she began to write at an early age. All the experiences of her life since childhood have been created or lived under some shadow or the other: the shadows of death, words, dreams, and unrequited love. This play captures the entire life of hers in its fold. ‘Waiting for Godot’ ,directed by Sanket Jain, is an absurdist play by Samuel Beckett, in which two characters,Vladimir and Estragon, wait endlessly and in vain for the arrival of someone named Godot. Waiting For Godot is Beckett’s translation of his own original French version, En attendant Godot, an is subtitled (in English only) “a tragicomedy in two acts”. The original French text was composed between 9th Oct.,1948 and 29th Jan.1949. It is a play on the human condition, a meditation on the human predicament in mid-twentieth century Europe. Thus it is a play about characters, not what happens to them but about them, a portrayal of human beings without any answer or certainties. This is the anxiety that Vladimir and Estragon carry with them. Is there a Godot? What does he look like? How does he behave? Will he come at all? What will he do for that? Should they invest any hope in him? They don’t know any of the answer, only that they are on very slippery ground. Lacking any firm basis for their hopes, they keep falling literally to the ground. Man is in a truly fallen state. Meanwhile, what do they do, as they wait for some solution with what is only a fleeting hope or even less? That is the play. Among the characters, Vladimir is the soul and Estragon is the body of the play. The other two characters, Pozzo is so obviously the master and Lucky, the slave(living with the burden of his name). There is one more character in the play who acts like a messenger. And the title character of the play, Godot, is a character but not present on the stage. The play ‘One by Zero’ ,directed by Shubham Pareek, is a classic tale of a possible case of a paradox which happens because of time travel. An average writer in 70s classic of America bets a bartender that he will tell him the best story he has ever heard. Bartender who is an undercover agent of a secret organization called “BUREAU” which aims at maintaining the happenings in the past; offers a deal which can make the writer take his revenge. Bartender with the help of a time machine takes the writer in his past; where he accidentally meets himself and what happens there changes him as a whole. The entire story is centered on a person caught up in a question of “who am I?” which ultimately becomes a paradox and to believe it is the new beginning of his life. ‘Bidesia’, directed by Sanjay Upadhyay, narrates the story of a Bihar’s folk theatrereverberates with Bhikhari Thakur’s Bidesia. Bhikhari Thakur was an artist, a dramatist and a poet who exhibited his play among the masses; focusing on their pains, sorrows and miseries. After the mutiny of 1857, Bihar and Eastern Uttar Pradesh were in the grip of famine that changed the concept of livelihood into one of agony, compelling the people to leave their homeland. The problem still exists. In Bidesia, the character Bidesi leaves his newly married wife Pyari Sundari and seeks employment in Calcutta. There he gets involved with another women, Rakhelin and begets two children. 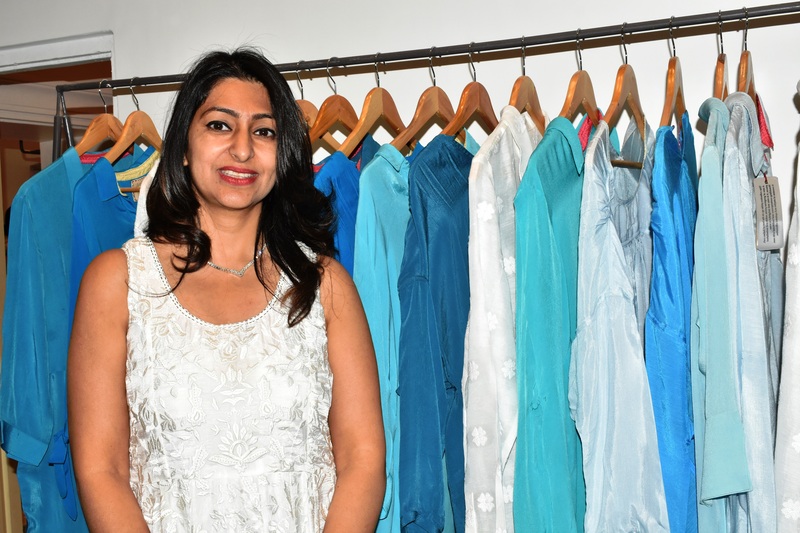 For years together Pyari Sundari received no news of her husband. A Batohi, on his way to Calcutta takes pity on Pyari and brings back Bidesia with him. Pyari who accepts Rakhelin wins the heart of the people for not forgetting the Dharma of Pativrata. The Play depicts the loneliness of Pyari whose agony, Chahat and Tadap for Bidesia know no limits. Bidesia is the story of Values, displayed in rhythm Biraha and torture felt by a women and her determination to got her husband back. ‘Bali aur Shambu’ ,directed by Manav Kaul, is the story of an unlikely new friendship between two old residents of the home. An expression of two diametrically opposite characters and their unique approaches towards life. Bali believes in taking life as it comes where as Shambhu lives in the glories of his past. With their respective ideologies and after a series of intricate collisions, eventually the two become one.